The Central Board of Excise and Customs has extended the date of submission of Form-ST-3 for the period 1st October, 2016 to 31st March, 2017 from 25/04/2017 to 30/04/2017 by Order No: 1/2017-Service Tax dated 25/04/2017. It is pertinent to note that it does not over the situation when both completion of service and date of issue of invoice are prior to the date from service becoming taxable. Only date of invoice and receipt of Payment are to be considered for the purpose of Rule 5. The much awaited announcement regarding the new ST-3 format has finally been made via Notification No. 01/2013 dated 22.02.2013 for the period between 01.07.2012 to 30.09.2013 only. The on-line form regarding the same is expected to be uploaded on the department server (aces.gov.in) anytime soon. The notification is silent about the ST-3 return for the period 01.10.2012 to 31.03.2013 and it is expected to be included in the coming budget on 28.02.2013 for the financial year 2013-14.
i. Gross Amount (excluding amount received in advance or amount taxable on payment basis or for which bills/challans have not been issued). 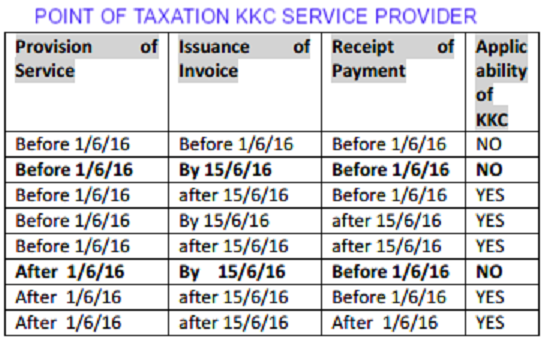 v. Amount on which service tax is payable under partial reverse charge. i. Payment by adjustment of excess amount paid earlier as service tax in respect of service of Renting of Immovable Property, on account of non-availment of deduction of property tax paid and adjusted in this period under Rule 6(4C) of the ST Rules. ii. Payment by book adjustment in the case of specified Government departments.